Pimples and acne are common teen skin problems especially when the skin is oily. The problem doesn’t stop there as acne scarring starts to surface with constant picking of pimples. Most teens would think the easiest solution to that is to constantly wash their face to get rid of the pimples. While washing the face may help to reduce pimples but it is not the perfect solution to the problem. Step 3: Lighten pimple mark with Anti-Pimple Mark Gel. Suitable for acne prone skin, when used together, OXY’s Deep Cleansing Wash, OXY 10 and the Anti-Pimple Mark Gel helps to get rid of oil, dirt, impurities, treat pimples, lighten pimple marks while providing you with smooth, clean and pimple-free skin. Each of these products is formulated to tackle the root cause of the pimple problem starting with the Deep Cleansing Wash that removes impurities followed by the OXY 10 that treats pimples and finish with the Anti-Pimple Mark for a clear blemish-free skin. The OXY Deep Cleansing Wash contains Isopropyl Methylphenol and Salicylic Acid which help remove dead skin cells on the skin’s surface and also effectively remove impurities from deep within pores thereby unclogging pores to prevent pimples. Apart from cleansing, the Deep Cleansing Wash also soothes blemished skin and it’s not drying to the skin. The OXY Deep Cleansing Wash is available in 50g (RM8.50) and 100g (RM 13.90) while the OXY 10 is available in 10g (RM 11.50) and 25g (RM 19.90) and the Oxy Anti-Pimple Mark Gel (12g) is sold at RM14.80. 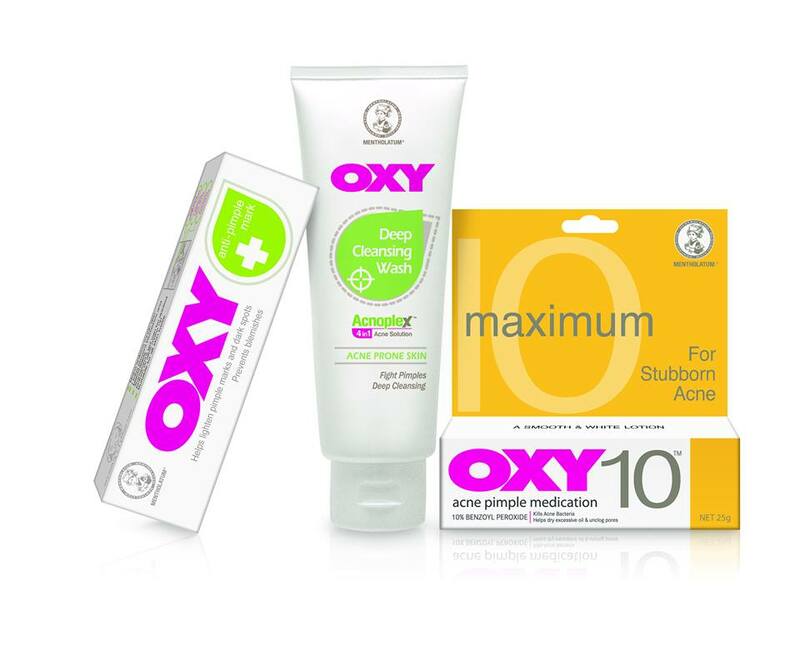 All OXY products are available at all leading pharmacies and supermarkets.